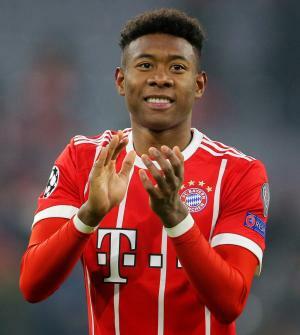 David Olatukunbo Alaba was born on 24 June 1992, in Vienna, Austria, of mixed Filipino and Nigerian descent, and is a professional footballer (soccer player), best known for playing with the club Bayern Munich as well as for the Austria national team. He’s been active in the sport professionally since 2009, and all of his efforts have helped put his net worth to where it is today. How rich is David Alaba? As of early-2018, sources inform us of a net worth that is at $20 million, mostly earned through success in professional football; he reportedly earns a current salary of $9 million annually. He’s played a multitude of roles throughout his career, and as he continues playing, it is expected that his wealth will also continue to increase. At a young age, David was already very active in football – he started playing with the club SV Aspern before joining FK Austria Wien. Thanks to his skills he was able to rise through the ranks quickly, and played for Austria Wien’s reserve team several times, before eventually joining German club Bayern Munich in 2008. Alaba started playing in Bayern’s youth system, joining the club’s under 17 as well as their under 19 team. The following year, he was promoted to the reserve team, and would make his debut against Dynamo Dresden. He scored his first official goal shortly afterwards, and then joined Bayern Munich in their run at the UEFA Champions League. He would eventually get more playing time, and became Bayern’s youngest ever player in a competitive fixture, also making his UEFA Champions League debut against ACF Florentina. In 2011, he was then loaned to TSG 1899 Hoffenheim for which he played a few games, then during the next season he returned to Bayern and became a regular member of the team. He established himself as a starter, but was unable to play during the 2012 UEFA Champions League Final because he was suspended. In 2013, Alaba then scored the seventh fastest goal in Champions League history in a match against Juventus, in just 25 seconds. The following season, he played in the German Super Cup as well as the UEFA Super Cup, and also played in two matches during the FIFA Club World Cup. He continued to play well in the next few years, and his net worth increased significantly. He also helped the creation of the quickest Bundesliga goal of all time after misplacing a pass – in just nine seconds. In 2016, he was given a contract extension that would lead him to stay with the team until 2021. Aside from Bayern Munich, David has also consistently played with the Austrian national team even before he became a senior. He started playing for the senior team in 2009, the youngest player in the history of the team. He’s won the Austrian Footballer of the Year award two times and has helped his team win multiple victories. He became Austria’s top scorer on several occasions, and became the captain of Austria for the first time in 2017 during a World Cup 2018 Qualification game. For his personal life, Alaba has been dating Katja Butylina for several years – she is a keen sportswoman, especially in handball. David mentions that he is a Christian, that he has a sister, and that his father is a prince, but who also works as a rapper and DJ.